Obtaining perfect packaging is the constant challenge that companies struggle with day by day, aiming to preserve the quality of the product from factory to consumer. Therefore, the final protection of the load on the pallet is fundamental. 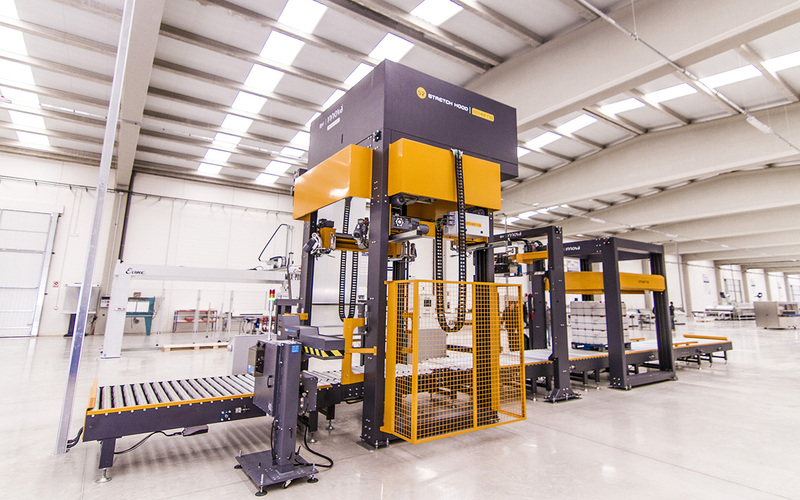 At Innova Maquinaria, we are always at the forefront of the latest innovations in packaging solutions for palletized loads and offer clients our cold packaging system, Stretch Hood, as the best loaded pallet protection solution on the market. Packaging that perfectly adapts to the load. Maximum conservation of the product against other external agents such as dirt, heat, dust, humidity, etc. Easier reading and scanning of bar codes on the inside. Greater brand image and packaging logo customization. Removes additional problems such as DENTING. Improves load safety and protection against third parties. Perfect adaptation to a broad range of loads and pallet types.